A while back, I bought a couple of Block Shop napkins at a local shop with the sole intention of using them as fabric for a sewing project. Napkins and tea towels are perfect for small projects when you can’t get yardage in designs that you might find. I do this all the time! Anyway, at the time I had no idea what I wanted to use the fabric for, but more recently decided one of the patterns would be super cute as a baby bib. They’re napkins, so they’re absorbent enough to use for a project like this, and the pattern was too cool to resist. 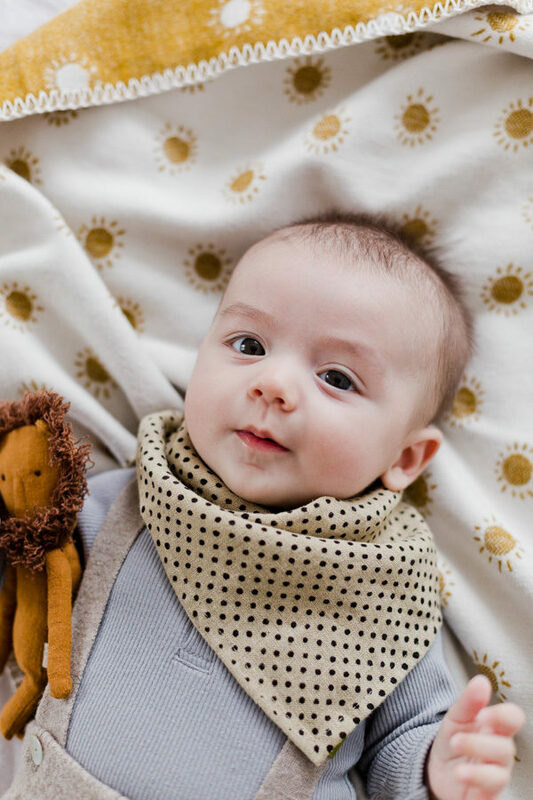 Here’s how to make a super easy DIY bandana bib for babies and kids. 1. 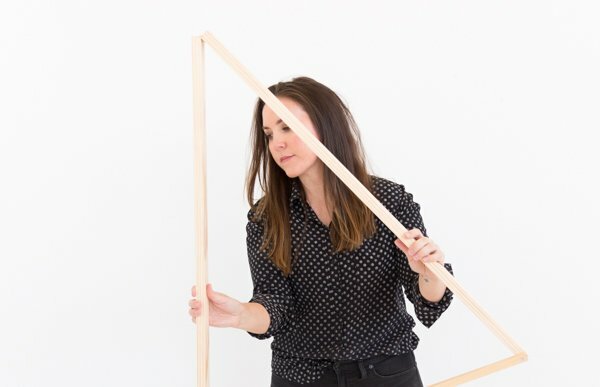 Begin by cutting a diagonal line on a square piece of fabric, creating two triangle shapes. 2. Next, sew a 1/4 inch seam along all three edges. *If you’re using a finished napkin like mine, you’ll only need to finish one side (the side that was cut). 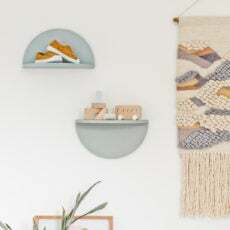 The other two edges will remain intact, though you may need to add a backstitch or two to keep the edged from fraying from where it was cut. 3. Next up is the snaps and fasteners. Almost done! Start by measuring 6 inches from the center on both sides (12 inches across) and 7 inches from the center on both sides (13 inches across). Use the snap and fasteners tool to attach the snaps. 4. If desired, knot each end for an added detail. And it’s ready to use. 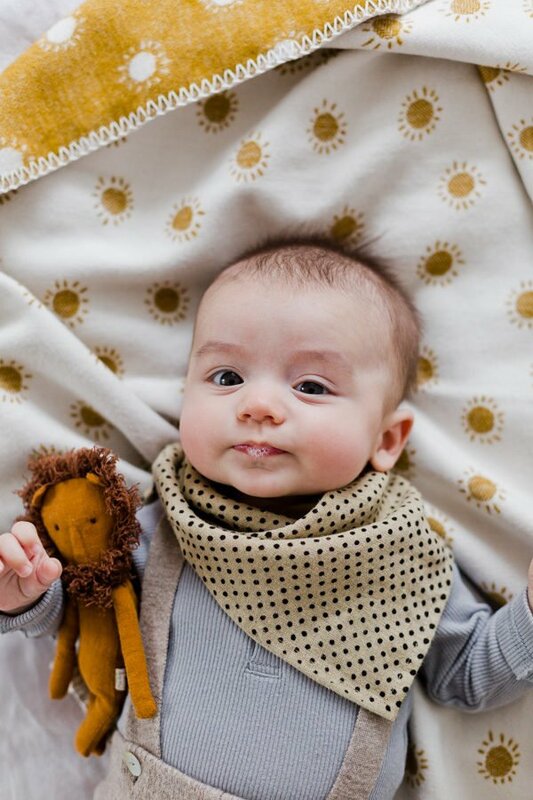 Side note…You can add a more absorbent backing to the bib if desired (which you would do in steps 1 and 2). But if you’re into keeping things simple, like I am, a single layer is just fine. P.S. 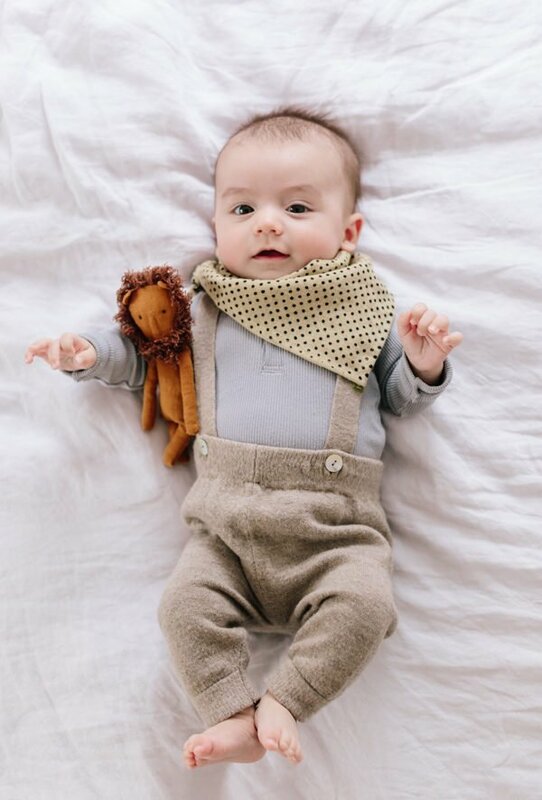 In case you’re looking for sources…Hayes’ lion is from Maileg, ribbed onesie is Mebie Baby, overalls are Nui, and blanket is Rylee + Cru. 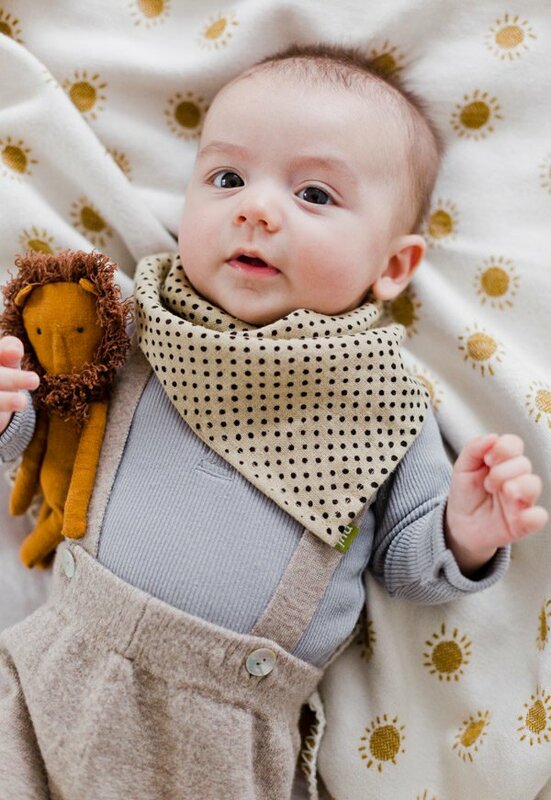 Have a cute napkin or tea towel that would make a cute bib like this one? 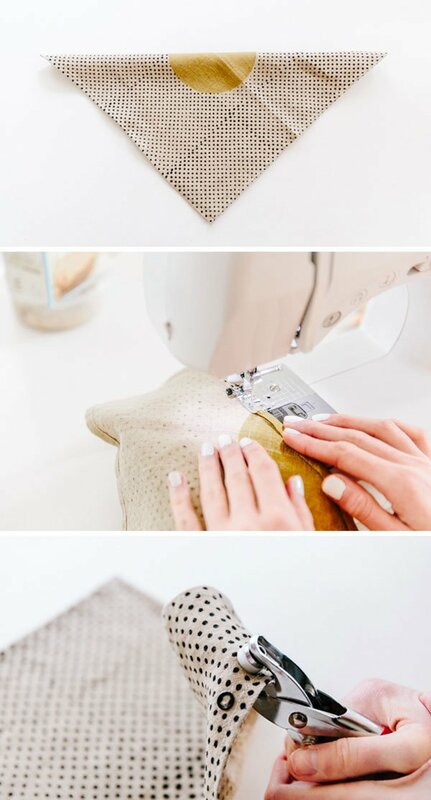 What else could you make with a small scrap of fabric like this?